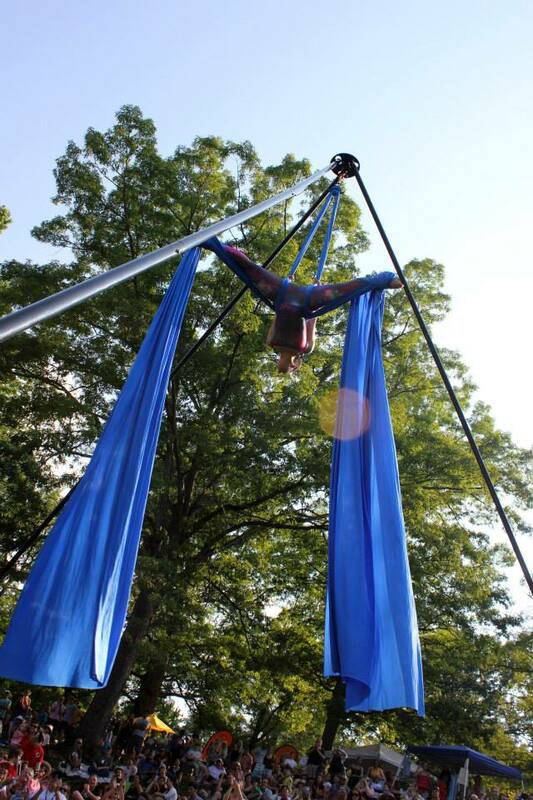 Amy Godfrey has been flying since she took her first aerial dance class in 2009. 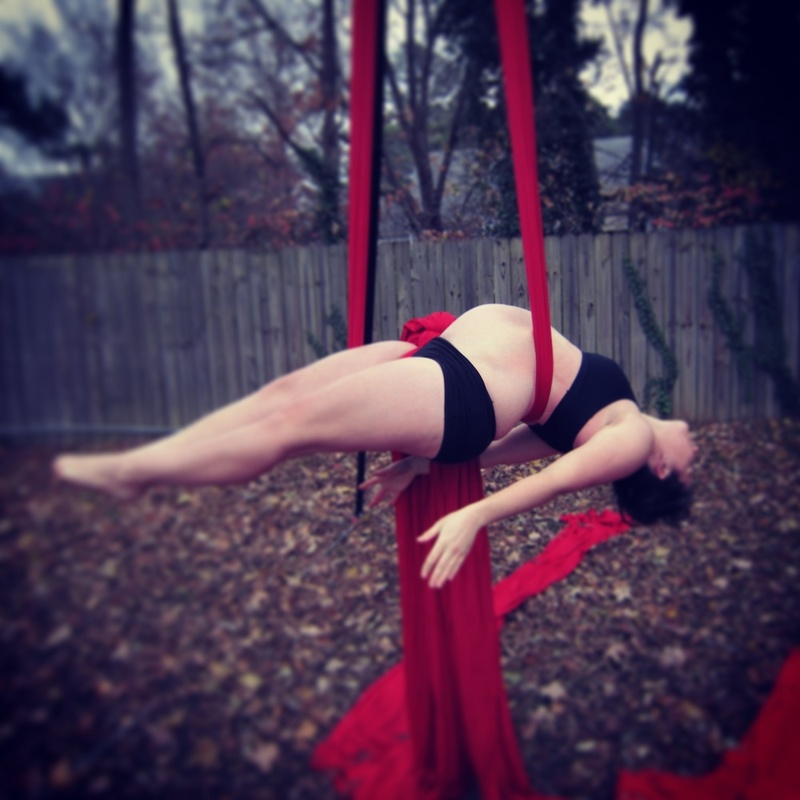 She has trained with local and nationally renowned aerialists including Susan Murphy, Serenity Smith, and Julianna Hane. She has completed her Level 1 teacher training through Born to Fly. She has taught at studios throughout the Triangle and currently teaches at the Levin JCC. She teaches children, teens, and adults and is available for classes and private instruction. 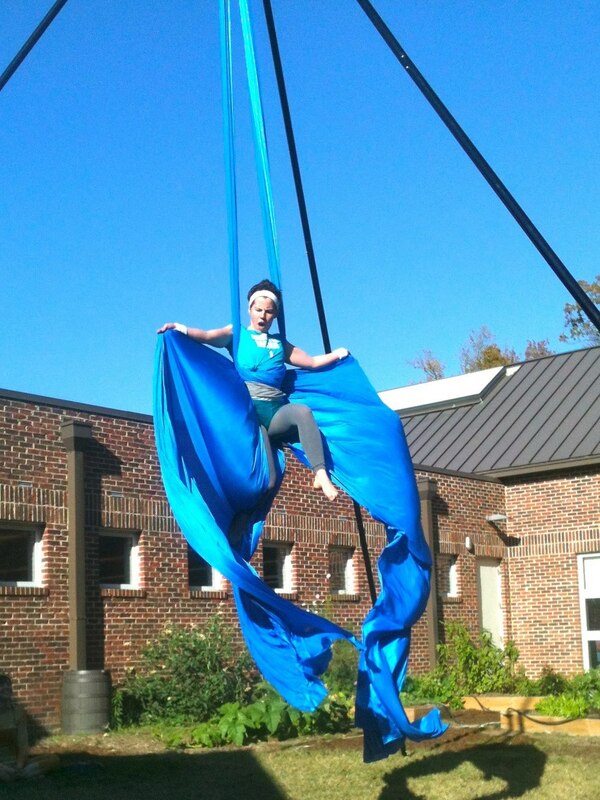 She is also one half of the librarian-aerialist duo Story Up!, a troupe that combines storytelling with aerial dance.